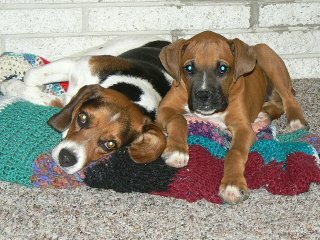 Well here is a shot of Winston with his best bud, Buster. They are such pals. 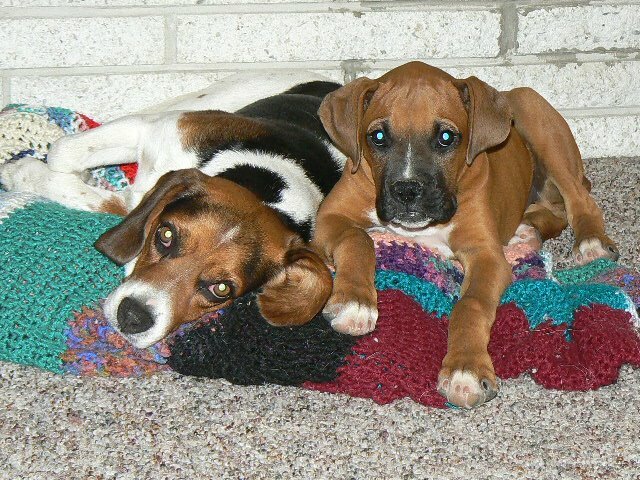 Winston was laying on the blanket when Buster came over and grabbed himself some blanket, too. They love to play together. Buster gets snippy with him if he get to close when he is nawing on a bone but other than that it is pretty much like you see here. We had a nice time roasting "MINI marshmellows" the other nite. 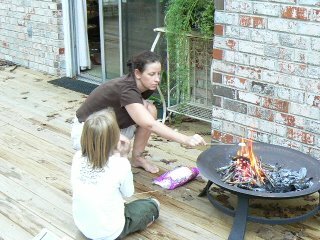 My son wanted to poke around the firepit on the deck and all I had for roasting were the tiny marshmellows. If you stack about 5 on a skewer they toast up pretty damn quick! I since have found a package of large marshmellows but I now have a new found taste for the tiny bunch.